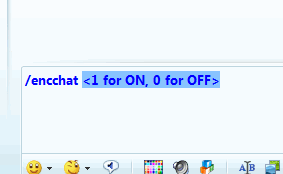 Have you ever wondered how safe it is to chat with MSN (nowadays Live) Messenger? Have you ever had a look at the traffic flying around a wireless access point? Well, you should! Install Wireshark on your computer and have a look at your own chat conversations. But for those of you who are simply too lazy (can’t blame you! ): No it’s not safe! Between studying Analog Electronics and writing some Java for Software Development, I had some spare time to write the one thing that was missing: Encrypted Chatting! * Emoticons won’t be displayed. Parsing by MSN happens before the decryption. I’m using the Gibberish-AES library by Mark Percival. It encrypts your messages with 256bit AES. After that, the key is stored in your system registry. There is one key per contact, so you’ll need to set them for all of your contacts. Now you’re set to start chatting! 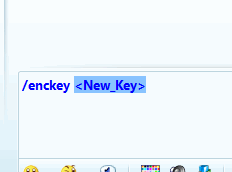 If /encchat is set to 0, you’ll still decrypt messages if you have the right key. * This code is released under the MIT license.